In this program Chef Valerie Rovira shows host Jeff Gardner the teamwork and creativity required to be a chef and discusses the safety issues in the kitchen. Exciting careers in food! Chef Andrew Zimmern describes catering as the provision of food and service for special events. In this career day DVD, join Andrew as he interviews industry professionals from full-service catering to a private chef. It's sure to get students thinking of new and exciting career options. 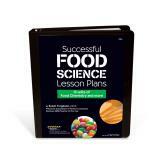 Introduce students to the science behind food and cooking with Successful Food Science Lesson Plans. 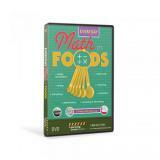 The lesson plans include 12 units of food science that cover a variety of topics. Experience the food markets of Mexico without ever stepping foot on a plane! 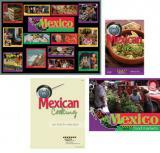 The World Foods: Mexican Cooking Class Pack is the complete kit containing everything you need to teach students about Mexican food and cooking. Beautiful photos featured in the bulletin board kit gives students a glimpse into market fare and life. Chef David Forestell prepares Chicken, Turkey and Ham in the most savorty and tasty ways imaginable. Use these 5 Minute Food & Nutrition Activities as quick, easy, and effective activities to fill extra minutes of class time. 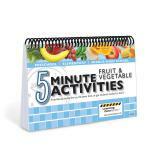 Each activity allows students to get thinking about healthy food choices, nutrients, food trends, and health. Gourmet tastes from the sea. Chef David Forestell does the sublime to the simple with Shrimp, Lobster and Crab. Lobester Napoleon to crab cakes and shellfish that will satisfy. Fresh and dried herbs give foods flavor and personality and have been used since ancient times as medicine. 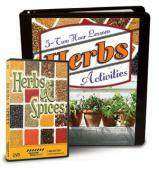 Discover how to use these aromatic plants with the Herbs Activities & Video kit. In this program, David brings his master touch to making extremely tasty meals out of some common meats that bewilder us at the butchers counter. Beef: Rib-eye steak, Steak Tartar, Spicy Barbeque Ribs. Lamb: Braised Lamb Shank, Rack of Lamb, Lamb Kebabs. Pork/Bacon: Perogies with Smoked Bacon, Gourmet Bacon and Eggs, Rapini wiht Pancetta. The France World Food Markets Class Pack is the complete kit containing everything you need to teach students about French food markets and culture. Easy everyday to exciting exotic, cooking with vegetables has never been tastier. Broccoli: Cauliflower & Potatoe Griddle Cakes, Broccoli Souffle, Kimchi in a Hurry. Asparagus: Asparagus Terrine, Asparagus Salad with a Lemony Dressing. Szechuan Inspired Stir-fry. Artichoke: Artichoke a la Grecque, Sea Bass & Artichokes, Gratin of Artichokes. When's the last time you ate off a food pyramid? 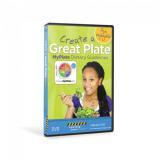 The �Create a Great Plate MyPlate Dietary Guidelines� DVD is based on the USDA's MyPlate campaign and shows teens what healthy eating looks like. Spruce up your fruit bowl! Enjoy the fruits of your labor with great recipies that will dazzle your taste buds. Apples: Warm Apple Salad with Savoy Cabbage. Apple Tart with Maple Espresso Sauce. This video is a look at the rich heritage and distinct qualities that typify the food we eat. Viewers will learn how American Cuisine began and what has influenced it to become so varied. Super and Spice and everything nice, thats what Chef David Forestell will be cooking. From classic deserts to recipies with a savory spin, they will all tempt your taste buds. Culinary mastery takes you from the earth to the table as world-renowned chefs and food producers share their knowledge and secrets about one of our favourite pastimes, eating! Students will learn the basics about equipment and tools used in foodservice kitchens. Professional chefs Tim Cockram, Dave Christopherson, and Jason Hudock take a look at everything from a teaspoon to a walk-in freezer. Chef Jason and Sous Chef Dave identify the tools of the trade, pointing out how construction affects usage, identifying the various utensils..
Quick and easy to prepare, 5 Minute Recipes for Kids is a collection of tried and true recipes that are a great way to introduce cooking and basic nutrition concepts to kids of all ages. 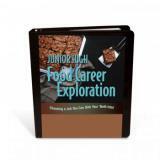 In this curriculum for ages 10-14, students will be guided through the basics of working in food service in their FACS class. 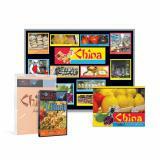 The China World Food Markets Class Pack is the complete kit containing everything you need to teach students about Chinese food markets. The Food Safety Investigation (FSI) Team checks for clues of food poisoning at a food safety crime scene. 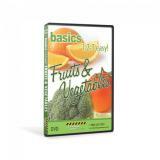 In this film, viewers will learn the basic rules to prevent food-borne illnesses: clean hands, food, utensils and surfaces; separate foods while shopping, storing and preparing to prevent cross-contamination; cook foods to recommended temperatures to kill bacteria; chill and store foods promptly and at proper temperatures. 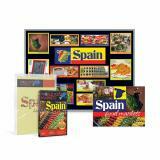 The Spain World Food Markets Class Pack is the complete kit containing everything you need to teach students about Spanish food markets. 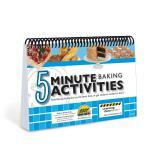 5 Minute Baking Activities is an essential culinary classroom resource filled with creative and fun activity ideas that will encourage and inspire students to bake to develop skills, expand their knowledge, and save money. Beautify your cakes with direction from Chef Rick Forpahl, an experienced cake decorator. Learn proper hand techniques and how to use tools and equipment. He demonstrates basic decorating techniques including star, rosette, sweet pea, rose, stems, writing, and leaves. 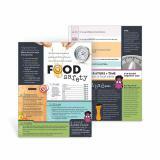 The Food Safety Handout features tips for the five steps to follow for food safety: Cook, Separate, Store, Clean and Avoid Risky Foods. Dining is more than just eating a meal; it's a time to visit with family and friends. Discover how to make mealtime more enjoyable through appealing presentations. 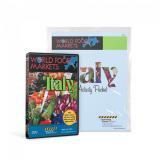 Get to know Italian foods through exploration of the marketplaces of Italy with the World Food Markets: Italy DVD and Activity Packet. 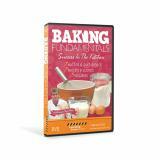 The Amazing Eggs DVD explains size, grade, color, storage, nutrition and cooking with a wide variety of easy to prepare recipes. 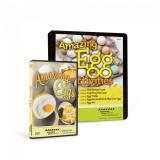 The Amazing Egg Activities complements the DVD with flexible lesson plans. 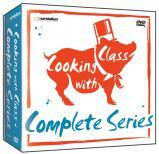 Join Chef Marshall O�Brien to learn basic knife skills essentials for foodservice operations in Knife Skills for Foodservice and Culinary DVD. Chef Marshall offers insight and practical advice to train foodservice works to safely and efficiently cut fresh fruits and vegetables with a knife and an industrial food processor. The Kid Approved Healthy Snacks Cookbook is an essential tool for any parent who has ever wondered how to create healthy snacks with their children and get their kids to eat them. 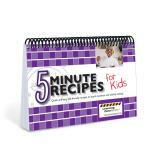 The cookbook features tasty and easy-to-prepare snacks that feature fruits and vegetables that kids will love to make and eat. Join Chef Dave Christopherson in the kitchen as he demonstrates and explains how to make a variety of different quick breads.